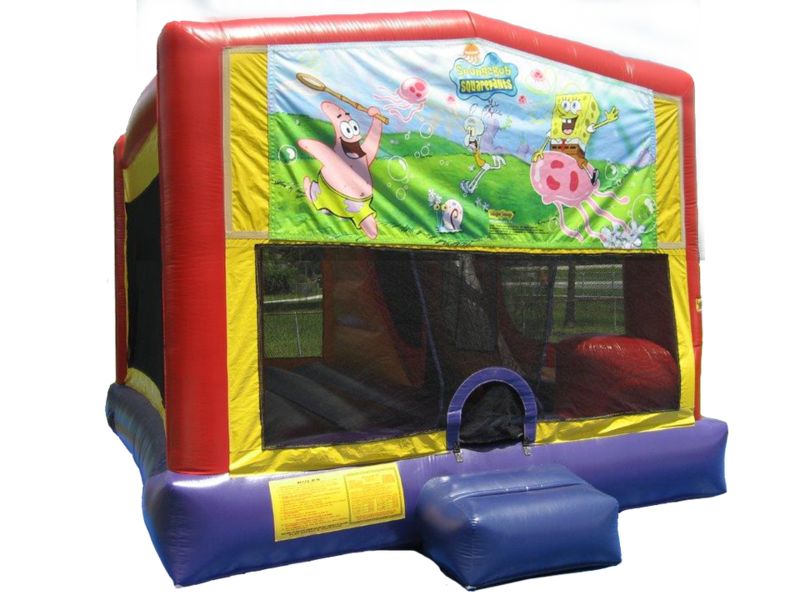 This 4-in-1 Wet or Dry Combo is jam-packed with fun, offering a generous bouncing area, basketball hoop, climbing section and a slide. 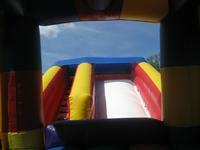 On hot summer days we can convert the slide into a water slide for hours of fun in the sun! 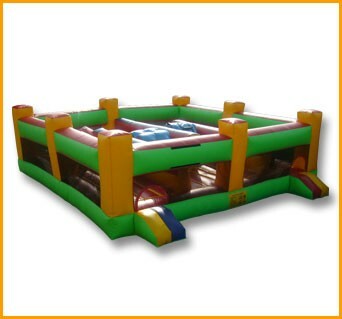 This open top 5 in 1 obstacle playland offers lots of activities all in one unit. 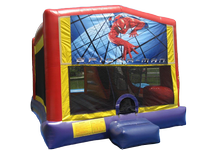 Your children will enjoy jumping, climbing, sliding as well as competing against one another to see who gets to the end of the obstacle in quickest time. When this unit was designed consideration was taken that children enjoy a variety of different activities. 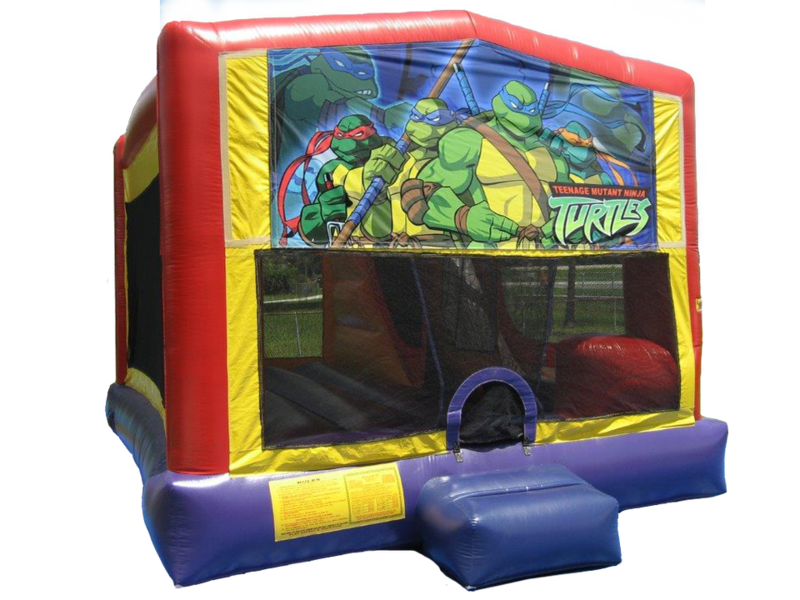 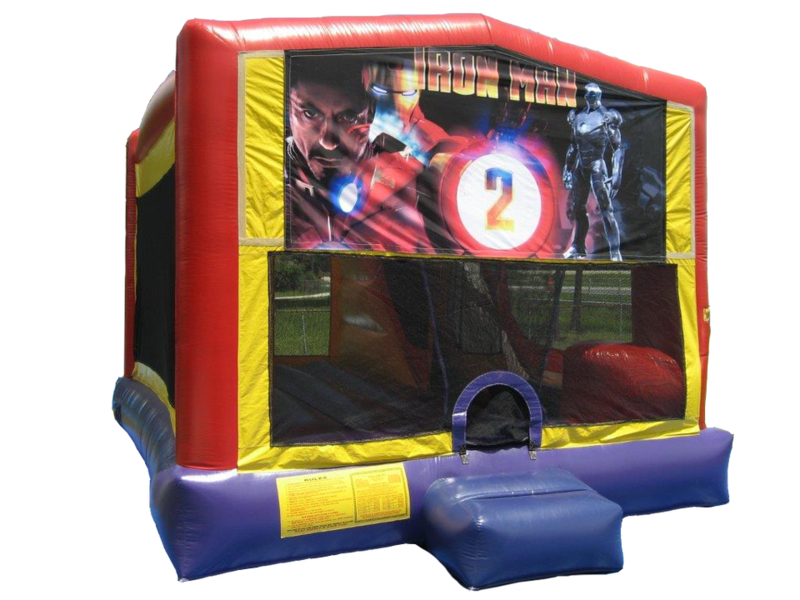 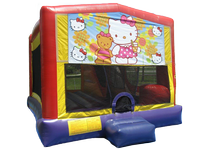 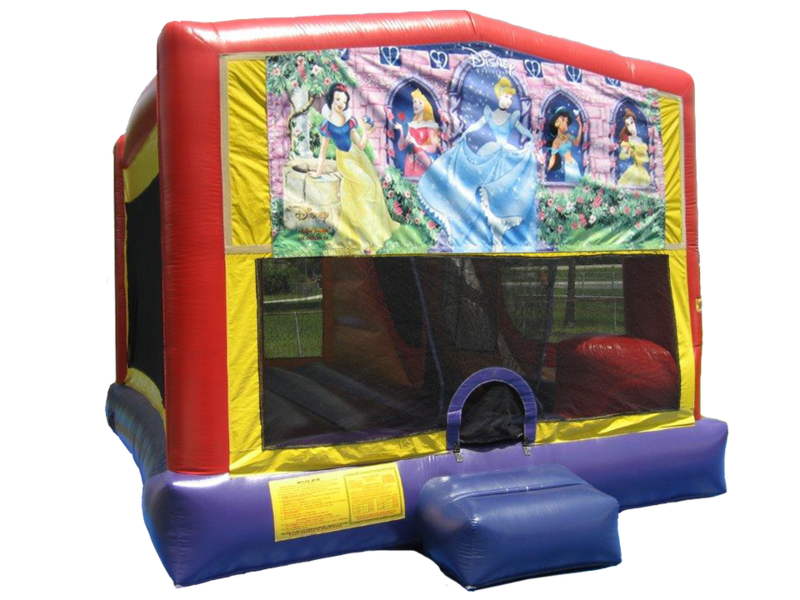 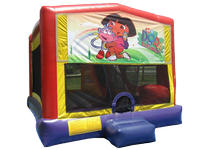 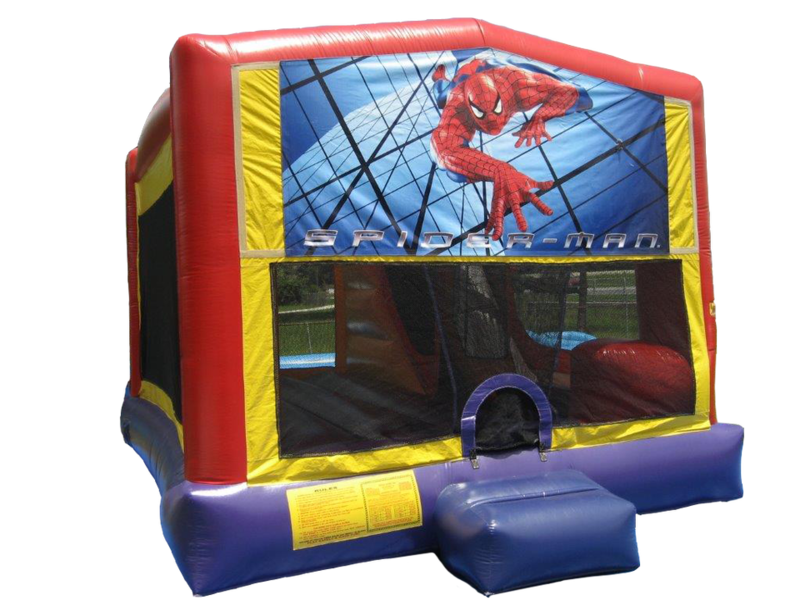 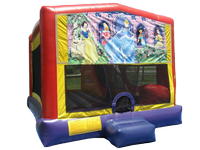 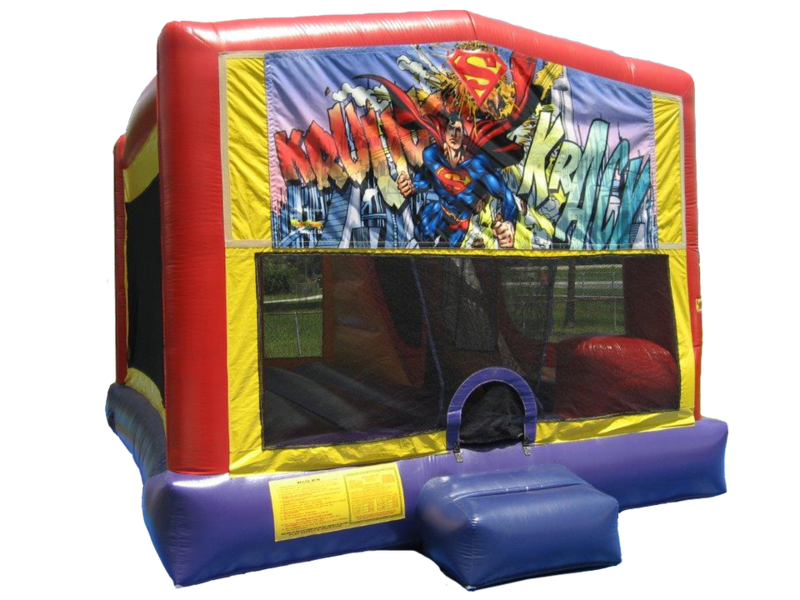 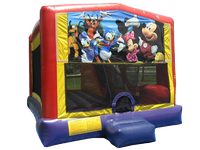 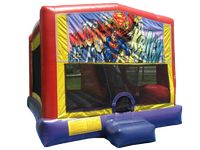 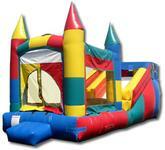 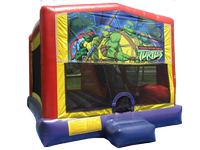 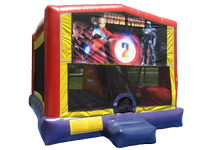 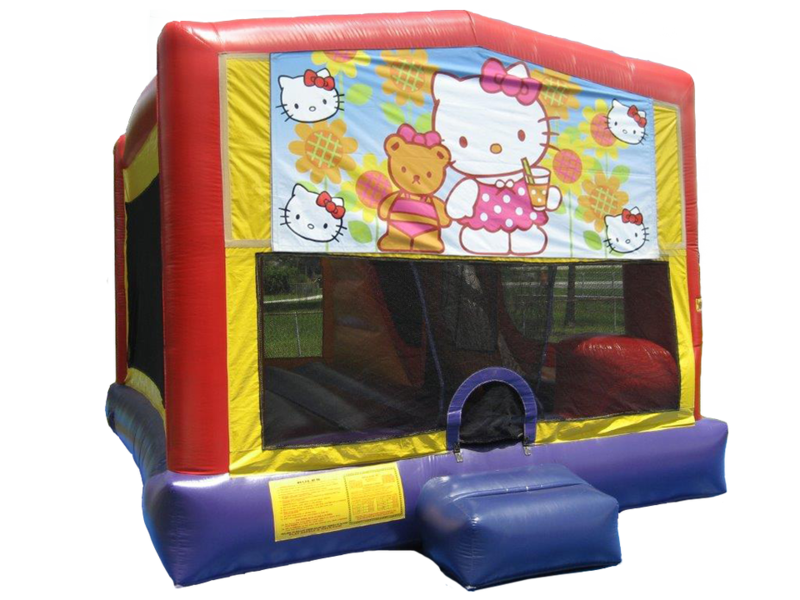 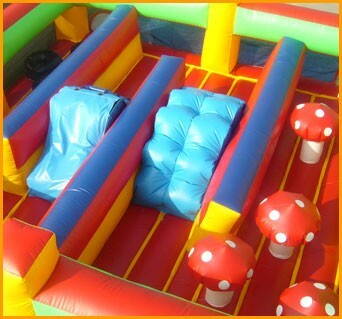 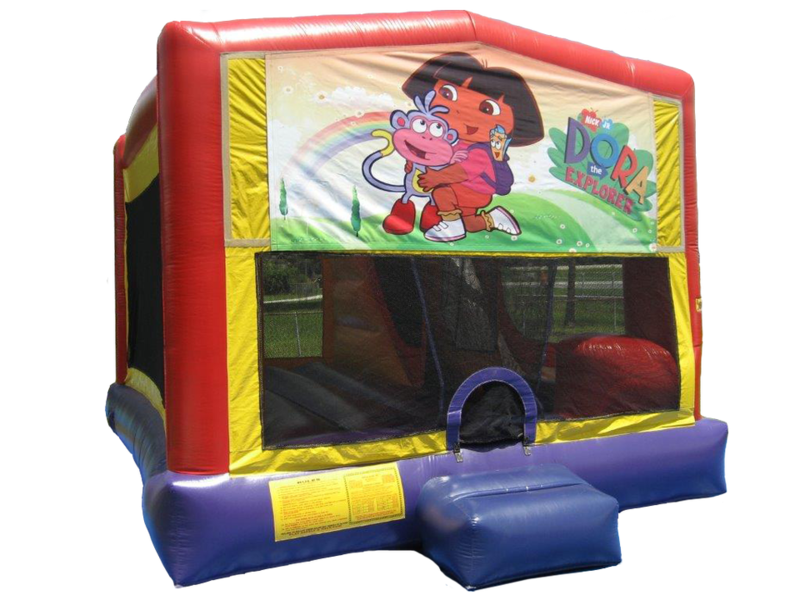 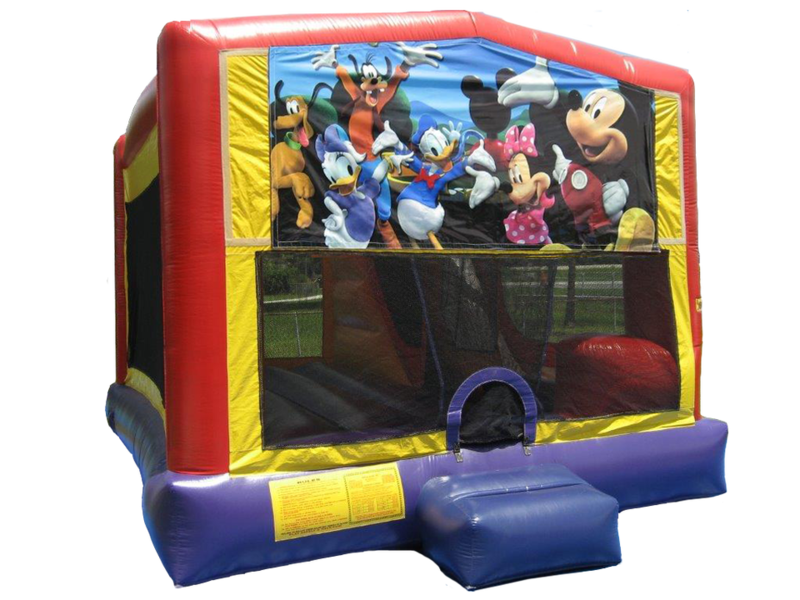 Let this inflatable be an amazing centerpiece for any backyard party, corporate or family friendly event. This large combo features fun with a giant slide and a generous area of jumping space. 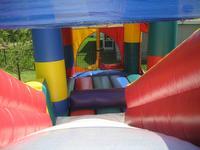 Colorful and lively this unit offers more fun per square foot than many of our competitors comb’s. 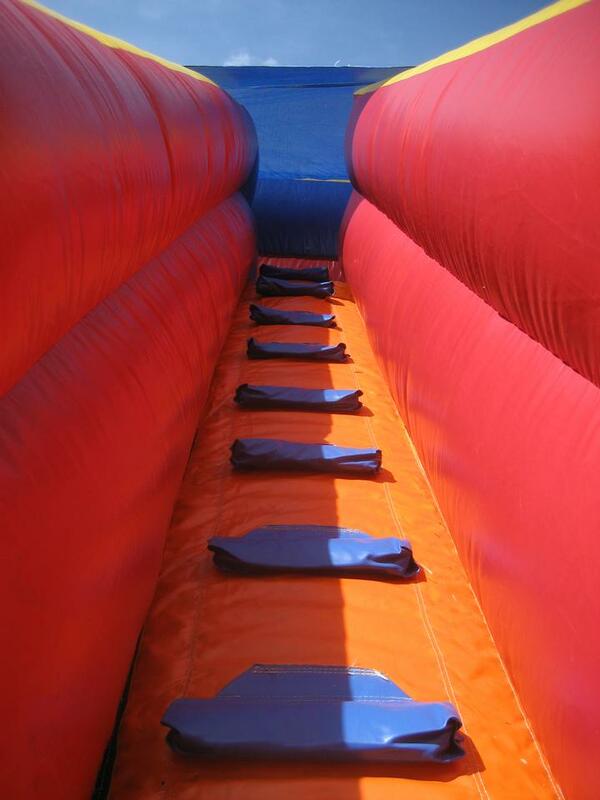 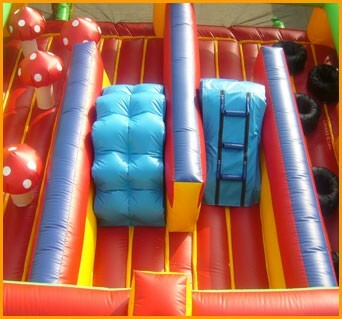 Climb, jump and slide down the 12ft slide then do it all over again for hours of lasting fun!